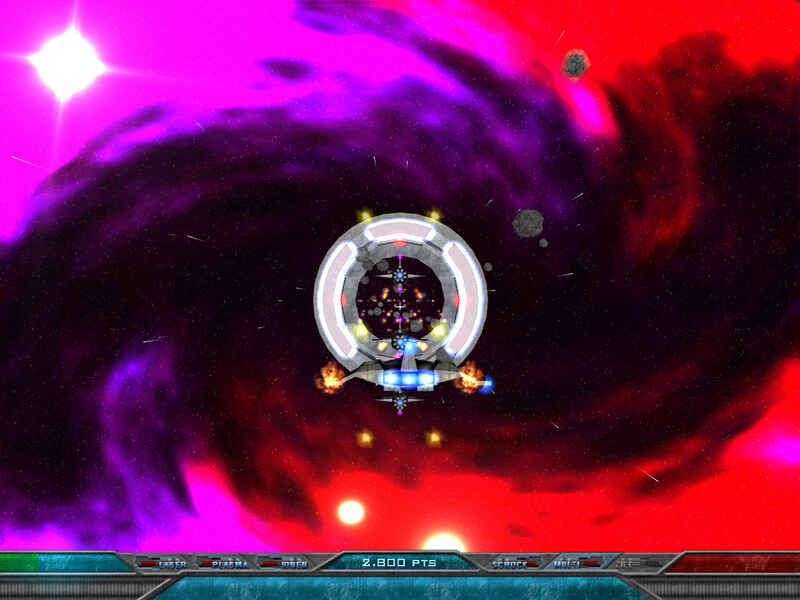 As a fan of old Shoot-em’Up classics like R-Type and Salamander you often have no other choice than firing up an emulator and to play those gems there, but with their old 2D-graphics. 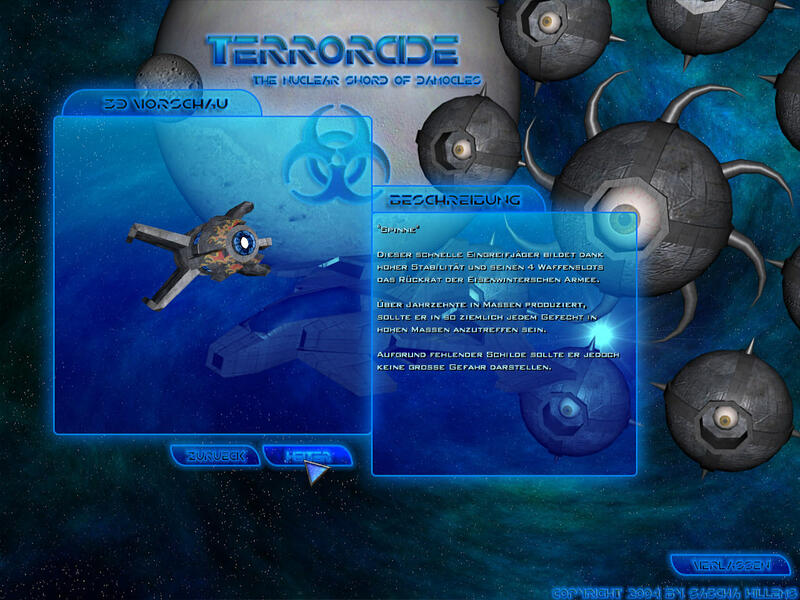 And with Terrorcide (“The Nuclear Sword of Damocles”) I wanted to recreate the feeling of such games for the PC, together with modern graphics, effects and a story-based gameplay (the classics usually don’t have had real stories). 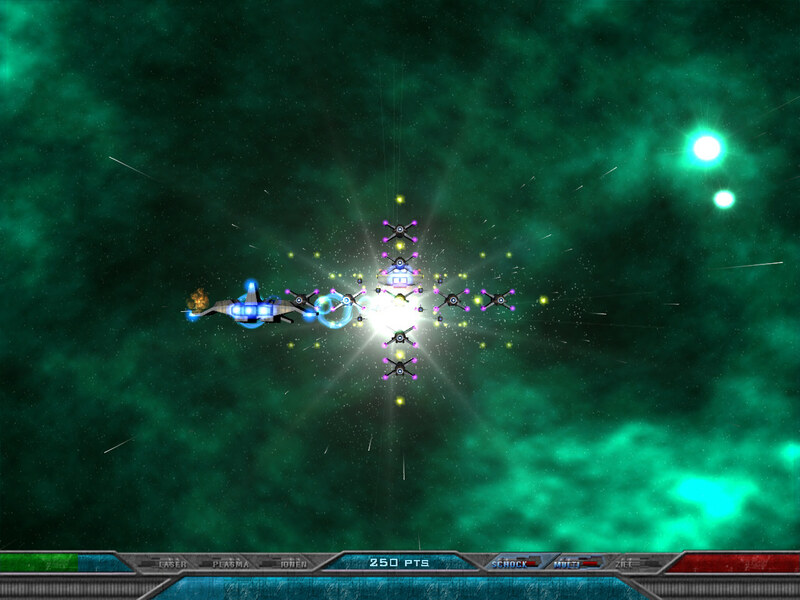 I then was working on the game for one and a half year and also released too tech demos, with especially the second one being great in terms of visuals. 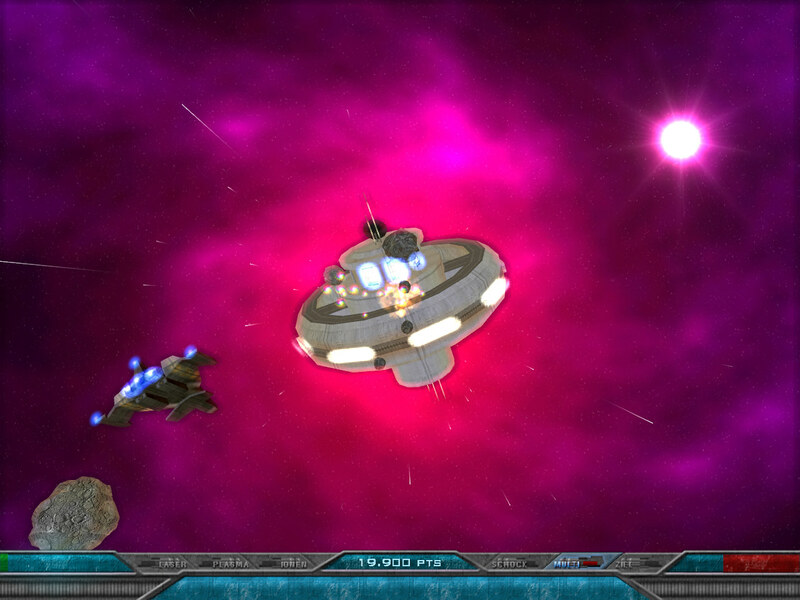 It featured full-screen glow which looked great against the nebulae backdrops and made enemies feel like they pop out of the nebulae before attacking you. 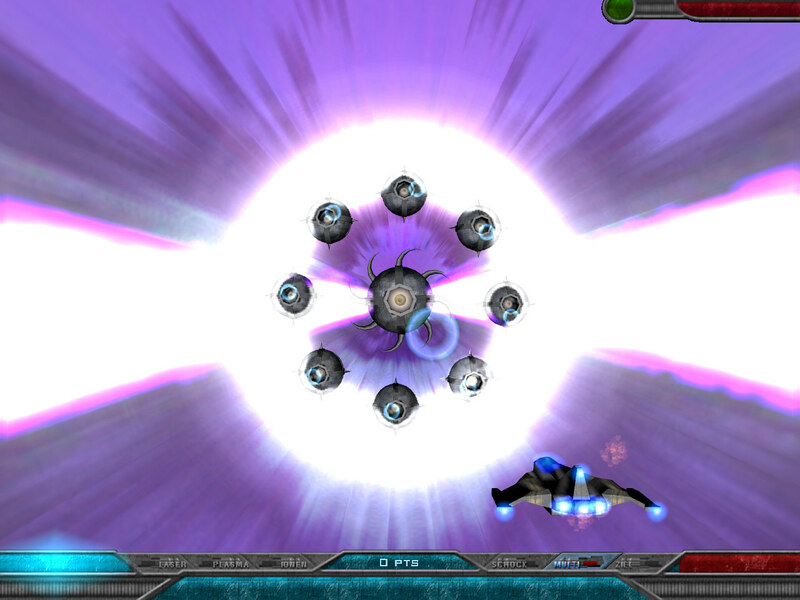 The second demo also included half-a-dozen different enemies with five story-driven missions that ended in a boss-fight. But after this second I decided to stop work on this game. 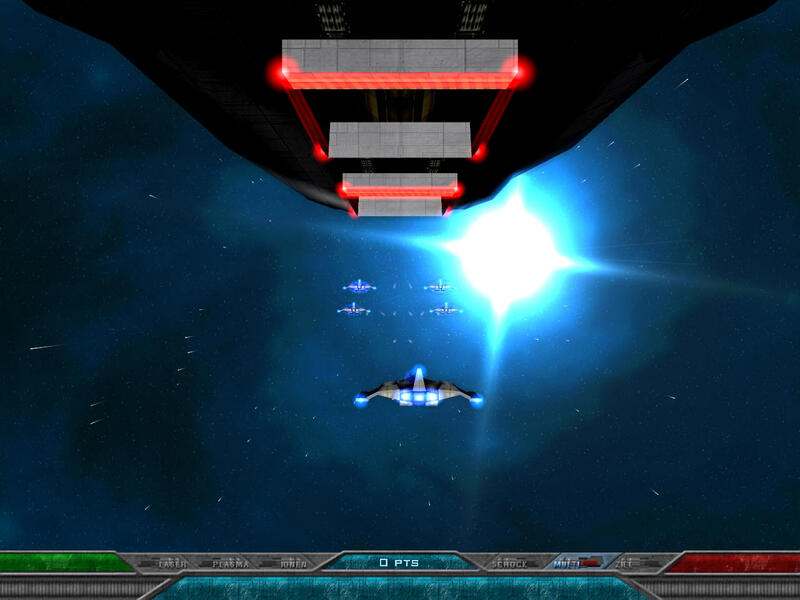 The gameplay itself wasn’t that great, mainly because of the perspective sitting behind the player’s spaceship and feedback from people that played it was very rare, which added to my frustration about the project’s direction. The download for the second alpha is no longer available. There was almost no feedback and the version wouldn’t work on non-german os’es (I planned to fix this, but there was never a new version). Maybe if there are enough requests I may upload the demo again, but as it was at the date released without fixes.